A shocking new revelation surfaces about people seeing Alberta in a mysterious black truck after she was thought to have disappeared. The tip propels investigative reporter Connie Walker north, to Prince Rupert, British Columbia. Fifteen-year-old Kerrie Brown disappeared from a house party in Thompson, Manitoba. Her body was found two days later. Host David Ridgen joins Kerrie's friends and family on their search for answers. Subscribe to Someone Knows Something now. This preview of Missing & Murdered: Who Killed Alberta Williams? explores how a chilling tip sparked the CBC’s Connie Walker to uncover secrets and confront a suspect in a decades-old cold case. The 8-part true crime podcast launches on October 25th. S1 Episode 0: Who Killed Alberta Williams? Reporter Connie Walker meets face to face with the person who sent her a tip about Alberta Williams’ unsolved murder. Find out why they’re breaking their silence, and meet the sister who’s still haunted by vivid memories of Alberta’s disappearance. Combing through old police notebooks, Walker tries to piece together what happened on the night Alberta vanished. She discovers that even before Alberta’s body was found, one of the people interviewed hinted at a “tragic accident”. Investigative reporter Connie Walker tracks down the person police suspected in the murder of Alberta Williams. New details emerge about the last night Alberta was seen alive. Reporter Connie Walker speaks to a key witness who has never been interviewed by police about what he saw the night Alberta disappeared. In this episode, Connie Walker finds the cabbie who people told us they saw with Alberta and her uncle Jack the night after she’s thought to have vanished. While talking to Walker the taxi driver discloses something surprising about his DNA. A closer examination of old RCMP notebooks yields new details about a mysterious phone call from a woman who knew where Alberta’s body was concealed, days before her body was actually found. Digging deeper into old police notes, Connie Walker tries to find out what happened to a pile of bloody clothes matching a description of what Alberta was wearing on the night she disappeared. Connie Walker questions police about DNA evidence, and learns that after nearly three decades, their seemingly stagnant investigation has become “very active”, as a result of new information brought to light in this podcast. In the 1970s, Cleo was taken by child welfare workers and adopted in the U.S. Her family, who has been searching for her since, was told she was murdered. Host Connie Walker helps the family unravel the mystery. A CBC News podcast coming March 7th. Connie responds to Christine’s plea for help finding her eldest sister, Cleo. The only proof of Cleo’s existence though is a tiny, undated school photo. A clue soon emerges which will take Christine’s search in unexpected directions. S2 Episode 1: Stolen. Murdered. Missing. Christine gets a tip that helps geographically narrow the search for Cleo, and Connie visits another sister, April, to see what she may remember. Scouring old photos and documents, they stumble on a key reference to Cleo in April’s adoption records. Connie meets Cleo’s older brother, Johnny, in Pennsylvania, where he was adopted. He’s haunted by the memory of saying goodbye to Cleo and longs to fulfill a promise to find her. A late night internet search reveals he may be close. The search for Cleo leads Connie to investigate a headstone belonging to a 13-year-old girl who died in 1978. The cemetery is more than 20 hours away from Arkansas, where Cleo's family has long believed she was killed. As Connie shares some shocking news with Cleo's siblings, the truth about what happened to her remains just out of reach. Police may have answers but can’t share them yet. It's time to visit the one person who's bound to know more. A brief encounter with someone who knew Cleo perhaps better than anyone else just before her death reveals crucial details. 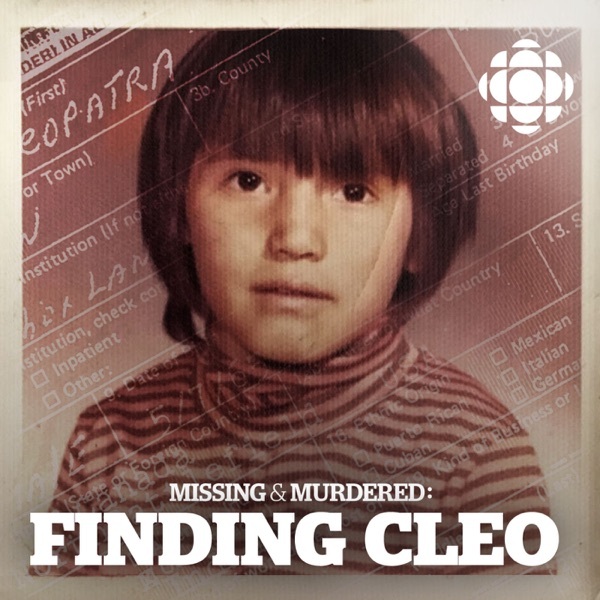 Connecting new facts about her life leads the investigation to a world far from where Cleo died, back to Little Pine First Nation. Connie’s chance meeting with the father who Cleo never knew is followed by new revelations about the Semaganis children’s biological mother, Lillian. A picture begins to emerge about why her children were taken, and when she joined the fight to stop the adoption of more Indigenous children into white homes.